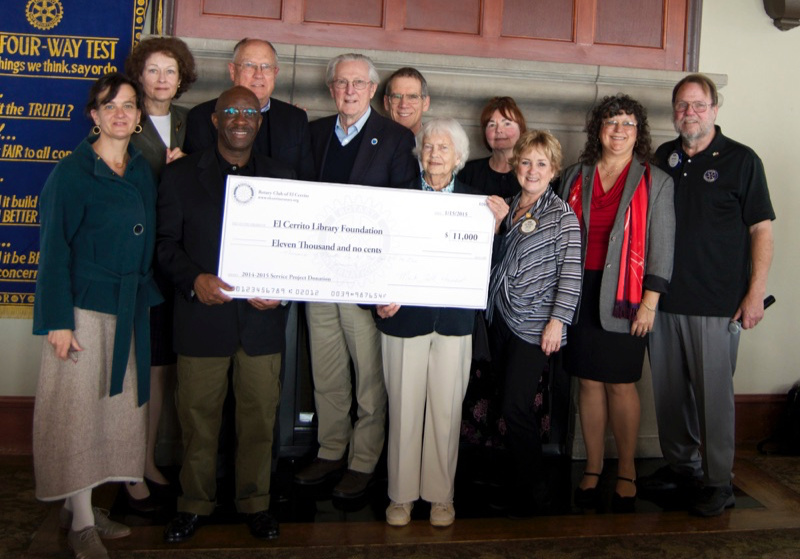 The Rotary Club of El Cerrito presented their largest donation of the year to the EC Library Foundation. The proceeds were raised at their annual “Sip and Savor” event in October 2014. Many thanks to Rotary for supporting our efforts to support an upgraded library in El Cerrito! We are off to a great start!